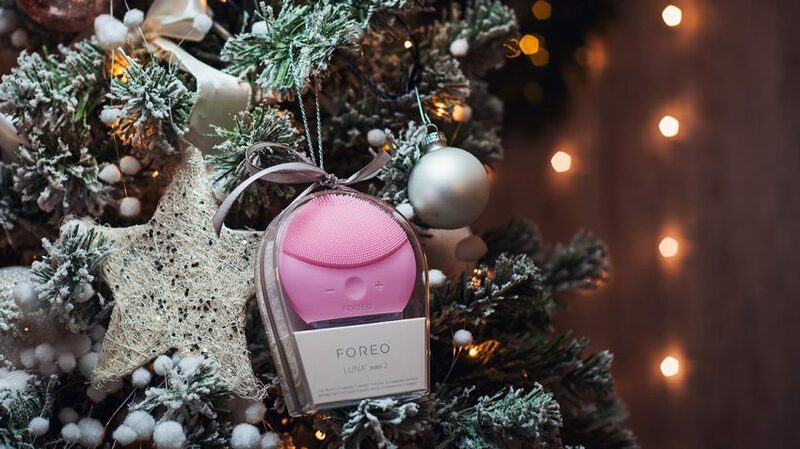 It’s FOREO’S fabulous Christmas gift guide! 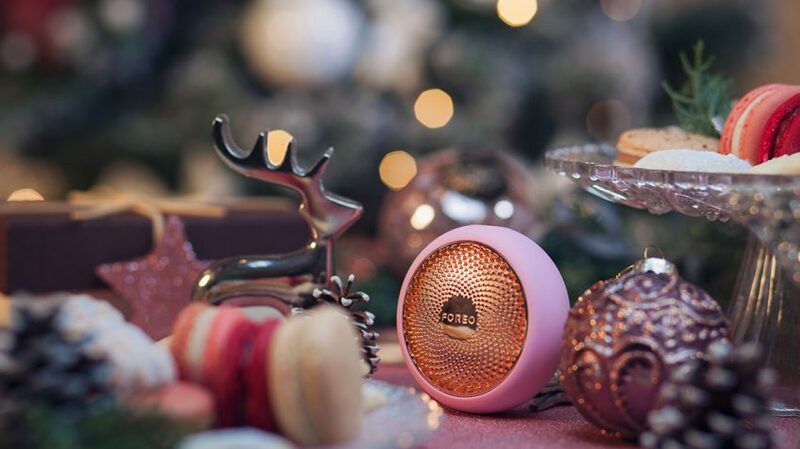 FOREO has Christmas all wrapped up, with a whole sleigh load of gift ideas for your nearest and dearest. From gym bunnies to babies, frequent flyers to fellas, we’ve got a beauty tech gem to elevate any wellness routine. Read on to discover the ultimate feel-good presents to help them feel fab through New Year, and beyond! As frequent flyers will attest, it’s not only dry airplane air that can wreak havoc on the skin! However thorough your everyday cleansing routine, changes in climate, humidity and pollution levels can leave skin less than glowing. Introducing LUNA fofo: the world’s first two-in-one facial cleanser and analyzer. This smart little device responds to fluctuations in skin’s hydration levels caused by climatic changes to deliver tailor-made routines for every skin type. Forget travel friendly – this genius cleansing brush is travel savvy! As any skincare connoisseur will tell you, regular masking promises a whole host of benefits. FOREO’s revolutionary UFO smart mask delivers all the best bits of conventional masks – the skin-saving ingredients, the relaxation factor, not to mention immediate results – in just 90 seconds. Better yet, treatments incorporate six professional level therapies: massaging T-Sonic pulsations, cooling Cryotherapy, warming Thermotherapy, as well as LED light therapy in Red, Blue and Green. The game-changing device works with a range of seven UFO-Activated Masks for gorgeous results, every time! If babies could talk, they’d tell us that teething is no fun at all – and it most certainly isn’t for likely already sleep-deprived parents! Luckily, FOREO has just the gift to soothe little ones through this painful period: even before teeth appear, ISSA mikro’s Massage Mode delivers a relaxing gum massage for a healthy, happy baby. And for when that first tooth does come through, Brush Mode channels gentle sonic pulsations through ultra-hygienic silicone bristles for a super soft clean. A terrific toothbrush for establishing proper brushing routines, ISSA mikro features Smile Helpers, rewarding healthy habits with a delightful happy face! 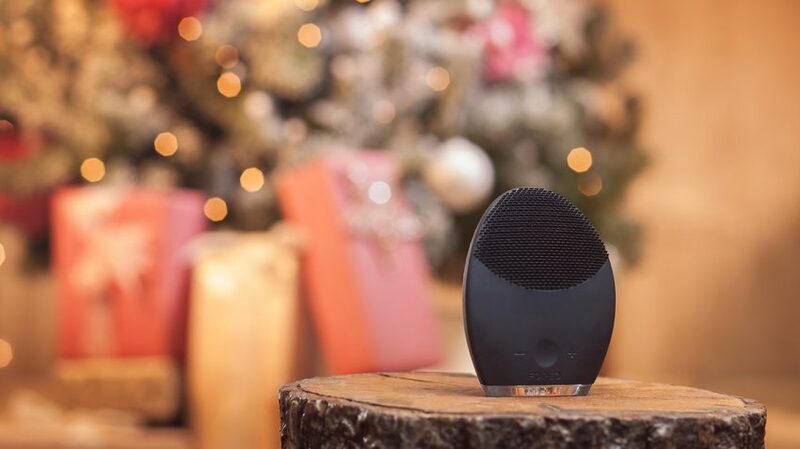 For dapper chaps looking to optimize their grooming routine, consider FOREO’s three-in-one cleansing, pre-shaving and anti-aging device, LUNA 2 for MEN. Like other facial brushes in the LUNA range, this one boasts long-lasting, ultra-hygienic silicone touch points to remove up to 99.5% of oil and dirt, as well as gently exfoliate away dead skin cells. But that’s not all: Designed especially for men’s typically thicker skin, LUNA 2 for MEN preps and primes the face for a cleaner, closer shave. That means not only reduced irritation (goodbye, razor burn! ), but it also helps blades last up to twice as long. Blasting blemishes out of existence, ESPADA is FOREO’s most effective tool in the fight against acne! A skin condition that doesn’t discriminate, acne can strike at any age – and has nothing to do with the cleanliness of either skin, or lifestyle. With laser-focused crosshairs for powerful precision, ESPADA channels a powerful beam of blue LED light deep into the skin. Treatments last just 30 seconds, and incorporate FOREO’s signature T-Sonic pulsations to facilitate renewal. Easy to use, noninvasive, and pain-free this is a hands-down must-have to send pimples packing! Whatever their skin type, there’s a LUNA 2 to elevate their cleansing routine – even for those with very sensitive skin! A firm FOREO favorite, the range spans four models for a truly tailor-made approach. In a pretty shade of lavender, LUNA 2 Sensitive Skin boasts thin, super-soft touch-points for minimal abrasion, delivering a deep yet gentle cleanse. The series also includes customized facial brushes for Normal skin (pictured), Combination, and Oily complexions. Effective at removing up to 99.5% of oil and dirt – including make-up residue – each model boasts a specially ridged surface channeling lower-frequency pulsations to visibly reduce the appearance of fine lines and wrinkles. Buying for a fitness freak? Don’t sweat it! There’s nothing like a great workout to get you feeling fantastic and your skin glowing. Now, any fitness routine worth doing is going to make you sweat, particularly as your body cools down after exercise. However, if those sweat glands get clogged – prime culprits are dirt, oil and make-up – you’re basically inviting a breakout. Small and compact, FOREO’s entry-level LUNA play plus is ideal for dropping in your gym bag to unclog pores post-workout. Because it’s fully waterproof, you can even use it in the shower, while replaceable AAA batteries make for near endless use. Whether due to jet-lag, a new baby, or simply day-to-day stresses, the skin around the eyes is the first to reveal tell-tale signs of tiredness. You can’t give the gift of a good night’s sleep – but you could consider the award-winning IRIS Illuminating Eye Massager! Inspired by Asian finger-tapping eye massage techniques, IRIS uses Alternating T-Sonic technology to improve circulation and minimize puffiness. Gently targeting under-eye bags and dark circles, the silicone device has been designed to fit the eye contour for a relaxing 30-second treatment. Even better, it actually improves absorption of your regular eye serum or cream for optimal results! 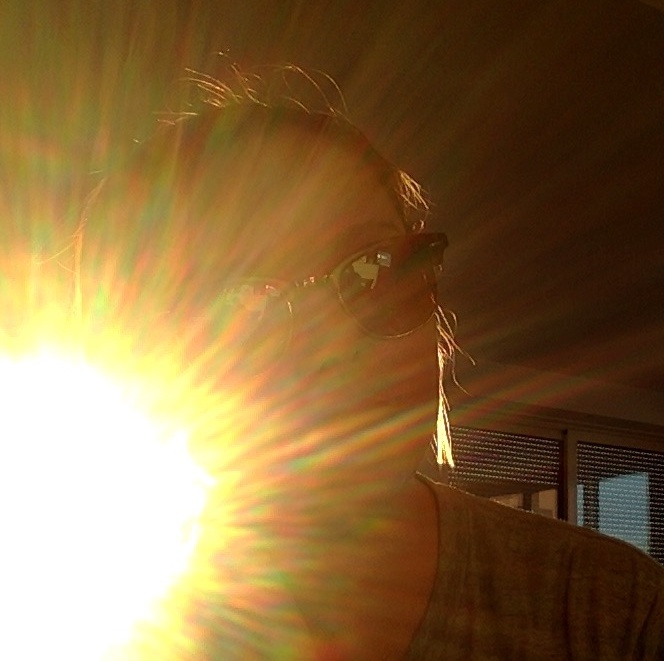 For more bright ideas, check out the website – and happy holidays! With a severe case of wanderlust, Ruby has thus far notched up twenty-seven countries… and counting.